Use our mobile and desktop software to save time and money. 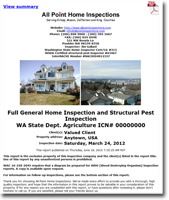 Publish home inspection reports that make you look great! Clear. Concise. Easy to read. 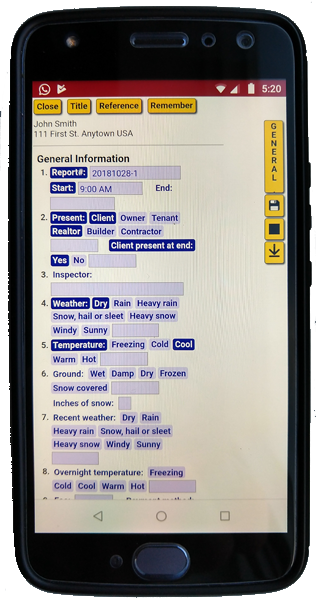 Get your reports written quickly using our mobile software. Minimize your report writing time with our mobile software ReportHost for tablets. It's easy to use, and fast. With its camera integration it's simple to insert pictures into comments while inspecting. Upload your report when you're done, and publish! Like printed field notes with a pen and clipboard? We've got you covered! Don't want to use a phone or tablet? 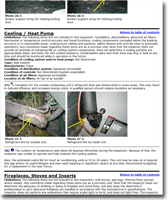 Print field notes from your report writing templates and use them with a clipboard during inspections. Transcribe these findings to our website forms to produce a sharp, professional report. Uploading digital pictures is a snap. Use our website to publish reports. Our website lets you annotate pictures with arrows and circles, write captions, spell check, assign pictures to report items and do final edits. Publish when you're done. No need to install traditional software or download apps. Our mobile software is a web application. It installs simply by navigating to a web page with your phone or tablet's browser. All you need to inspect and publish reports is a modern web browser, on your phone, tablet, laptop or desktop! We keep your reports - indefinitely. Every report you publish stays on our website. You can view, revise and republish any report you publish, anytime. Our report writing templates are professional, so you will be too. Customize your own report templates. Once you download a template from us, you can change it however you wish. Add, change or delete individual comments or entire sections. Make your own templates! Compliant with most standards of practice. We do the research on national, regional and professional standards of practice, so your reports will comply with most simply by including the relevant description items from our report templates. For example, the electric system rating, water heater capacities and types of roof coverings. They're easy to read. Really! Description items that make your reports standards-compliant appear first in each section, followed by concerns that identify defects. Concerns automatically sort by severity, bringing more significant items to the top of each section. Everything's clearly and sensibly laid out. No confusing grids with checkmarks. Pictures are easy to annotate and insert. You can add captions, arrows, circles and rectangles to your pictures, then easily assign them to comments in your reports. Choose what types of comments get included based on their types (e.g. safety, repair). Many other options are available, like whether to include pictures or attachments. Easily attach documents to your reports. 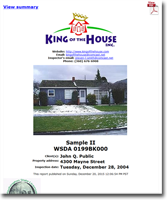 Attach any other documents in PDF format to your reports (pest diagrams, contracts, additional reports). No problem! ReportHost means we host your reports and customized templates on our servers. We keep them safe so you don't have to worry about what happens if your computer fails. All you need is an internet connection and a browser to access your data. Our IT staff backs your data up nightly to make sure you never loose it. Every report you publish with ReportHost resides on our servers. 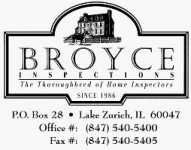 Got a call about an inspection you did 3 years ago? No problem! Just search for it on our website and you'll find it in seconds. You can revise and republish any report too. We provide a service where you receive backups of your reports, so you can keep them on your own computer or media. Installs automatically in your browser. Simply navigate to a page on our website with your phone or tablet's browser. That's all it takes! There's no need to go to the App Store or Google Play. Runs on any modern device or operating system. Compatible with most modern devices including tablets, phones, laptops, desktop machines, even Kindles. Windows, Android, iOS, Mac, Linux, it just works! ReportHost for tablets is a "web application" and runs in a web browser. This minimizes compatiblity problems and make your life simpler. Works offline in the field. Start your reports while online, then perform your inspection offline, in the field, anywhere. ReportHost for tablets lets you navigate your report, select items, and take pictures quickly. Your company can have multiple user accounts within it. Different user account types can have different levels of access to our system and your company information. Customized report templates can be copied from one user account to another, so all employees use the same language in their reports. You can review or edit your inspectors' reports before or after they're published. 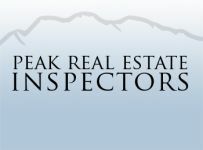 Multiple inspectors can use the same user account to inspect a single property at the same time, and then merge their findings to create a single report. Use a traditional digital camera when you're in a crawl space or on a roof, or when using printed field notes. Then easily upload those pictures to your report on our website for annotating, captioning and assigning to report comments. With your reports hosted on our servers you can view any report you've published with us. You can easily revise and republish any report too. You'll have full access to ReportHost, no trial or evaluation version. You get the real thing. We give you 10 free reports when we activate your registration. If you're a student or a member of ASHI, InterNACHI, CREIA, Ontario ACHI or Alberta ACHI, we give you 15 reports. Pay per report or via subscription plans. Our flexible payment plans let you pay per report (great for new inspectors) or through our subscription plans. Reports are as low as $.50 each through our plans. 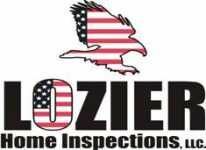 No annual fees, no cost for upgrades, maintenance or support. We charge you only for the reports you publish. Most other inspection software companies charge additional fees for "cloud" services and upgrades to their software. 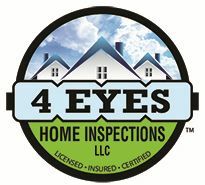 Lately I have been receiving offers from many companies that claim there home inspection software is the best and easiest inspection reporting software. Well to get right to the point, I have been using Report Host from the start of my business, Report Host is the best and only inspection software I use and will ever use. 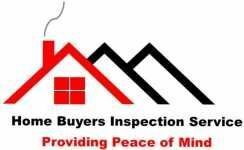 I recommend your home inspection report system to all Inspectors and all in training inspectors. 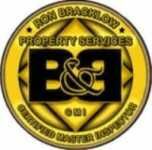 I get praise from all my clients and realtors about my reports, thank you for making my business more successful. YOU GUYS ROCK!!!! I get rave reviews on my reports and quality of pictures and ease of opening when I send to customers..THANK YOU FOR A GREAT report format.... you make me look good. You know, I've used your report writing site well over 100 times and I sit here still wowed as to how nice it is to use and totally customize to my liking. Looking forward to the next 1000. Today I used your ReportHost Report System for the first time, and although I made a few mistakes, once I went through it, it was very easy to use, informative, and I can't thank you enough for the great product. 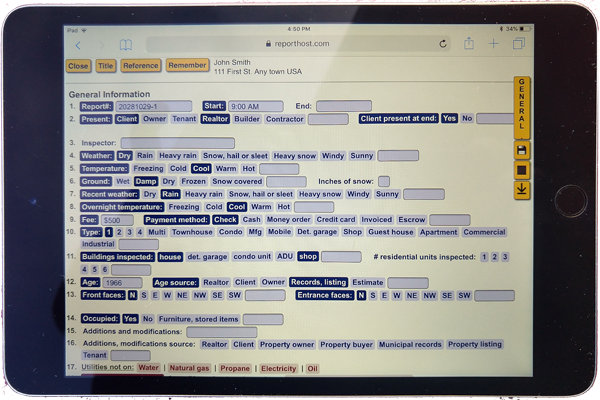 Guess which Report system I'll be using from now on - I especially like the "Summary Page" this will be great for Realtors that don't have time to read through 30 pages of reports. Fantastic software! Easy to use, thorough and professional looking. I will continue to use it as my inspection volume ramps up. Well done. Thank you for making such a great piece of software. I tried a few others before finding ReportHost and yours is the best, hands down. 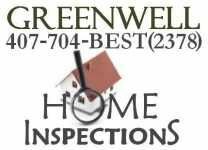 You guys did a great job in writing your concerns in a fashion that I would write my inspection report comments that I would use over the past thirty years of inspecting. I still constantly get compliments on my reports. People are really impressed with the format. You have as fine a product as I have ever seen. I appreciate the fact that you guys constantly make it better. One of the reasons I recently decided to switch to ReportHost was due to the fact that it allows me to use both my tablet and my DSLR (using a wifi card) simultaneously since the prompt for inserting a picture does not automatically open a camera app and instead allows me to pick the photos from files or select the camera app. Additionally, I keep a library of graphics on my tablet to insert into reports to show the proper construction details. This feature is huge for me as I don't feel it is possible to capture some things clearly enough with a tablet camera, especially when shooting outside in the bright sun as glare on the screen is an issue. It's cumbersome and time-consuming to merge in the DSLR photos after the fact.